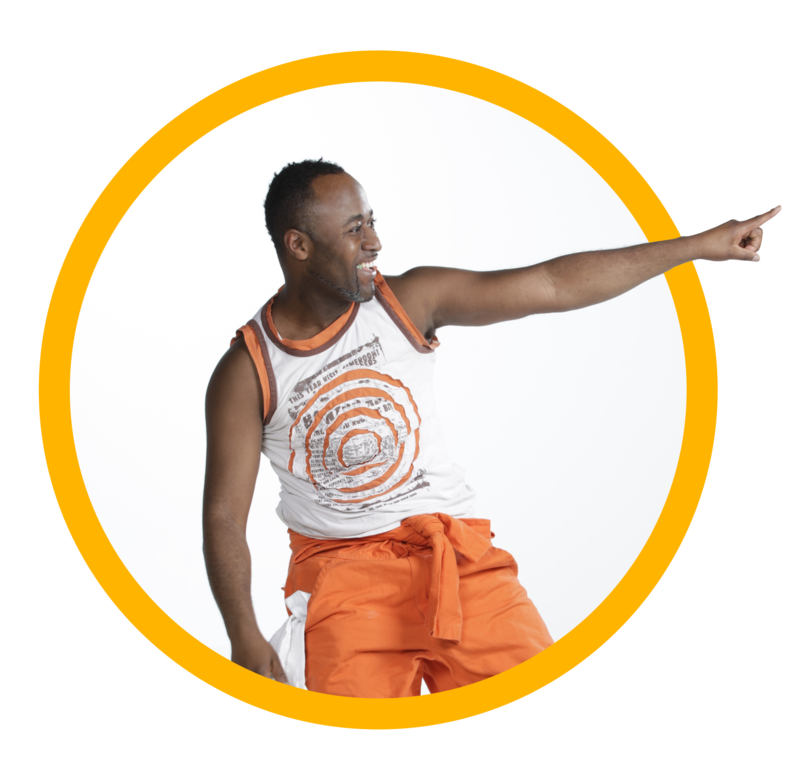 A true ambassador of African culture for nearly 20 years, Just Aïssi spreads the beauty of his culture through dance…and boots! He uses his extensive knowledge and infectious energy to promote his art while putting forth the most promising artists of the Afro music scene in Canada. With his innovative workshops, he skilfully combines dance, art, culture, music and language for a compelling and unforgettable activity. "Gumboots" started in South Africa's Gold mines during racial segregation. Workers were given gumboots to wear, but were not allowed to talk. The workers then invented a non-verbal method of communication with stomps, slaps and claps, which is today an educational dance, very well appreciated by school boards in Canada. Gumboots Workshop introduces students to a percussive dance where the body becomes a musical instrument practiced with rubber boots. Gumboots dance is a first influence of Stomp and originated in South Africa developed by miners using rhythm and dance to communicate. Students learn the history and cultural development, learn basic steps and choreography, and have the opportunity to create a routine. Our workshop inspires school children, teens and their teachers to learn about cultural diversity and similarities through fun, dance and movement. The Gumboots Workshop is open to all age groups, range from 3 to 93 years of age. We have different type of choreographies adapted according to their age and the group learning rapidity.